← No news is good new, right? Happy Valentine’s Day! I know, I am 5 days late but we had a nice relaxing weekend with the family. Saturday we gutted the boy’s room and cleaned it. More about that in another post. Monday was a holiday (Family Day) here in Ontario so no one had work or school. It gave us an extra day to relax and watch some TV. It was nice. We have been trying really hard to make sure our meals are at home during the week. However, again two nights last week were unplanned nights out. Monday, we were at IKEA – again. I swear I live there. 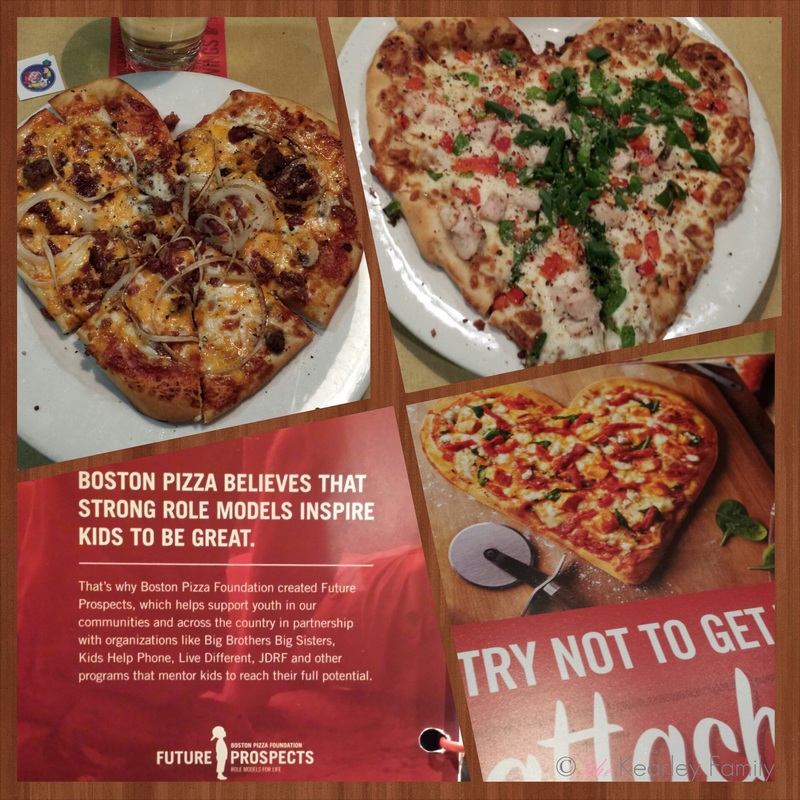 Friday, we decided to forgo our planned fajita night and go to Boston Pizza in Orleans. We love it there because they are very accommodating to our boys with Type 1. JDRF is very dear to us as we do all of our fundraising for them. Marcus was a JDRF Youth Ambassador last year and I have sat on the Ottawa Family Walk Development Committee since its inception. Generally, I don’t celebrate Valentine’s Day and this was a first for Ty. With a baby on the way (I am trying to conserve money as much as possible) I made my Valentine’s Day card for him but I had issues. I don’t cross stitch EVER! I only have basic sewing needles and machine needles. No cross stitch needles. I cried a couple few hundred times trying to thread my needle without my needle threader. I upset Ty because I was only supposed to be locked in our bedroom for 10 min (what it would have taken me if I had the correct supplies) and not an hour. My card for Ty was a geeky one since I know how much he likes err loves Dr. Who. I found a Tardis cross stitch template online for a Valentine’s Day card. I printed it on card stock and printed off a home-made envelope too. Ty on the other hand out did himself by getting me Laura Secord chocolates. He even paid for Marcus’ chocolates for me too. Ty also contributed to a very worthwhile charity in my name (or his). Instead of buying me flowers that will wilt and die, he spared a dozen roses and helped a child with diabetes live for another year. To learn more about this charity, please visit their website. What did you and your special someone do for Valentine’s Day?